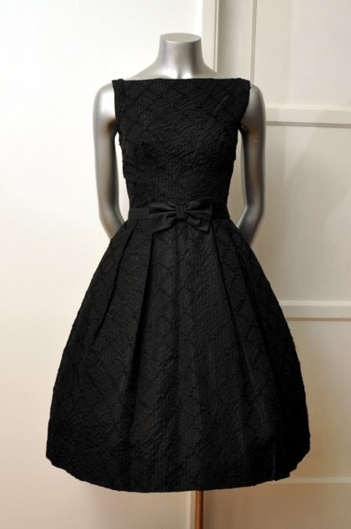 A while ago I was really inspired by many Pinterest pins on the black 1950s cocktail dress – so elegant, so stylish and so perfect in every way. These are merely for looking at, rather than actually buying. They NEVER go out of fashion. Do you agree? Are they a timeless piece? Do you own one? Would you like to? 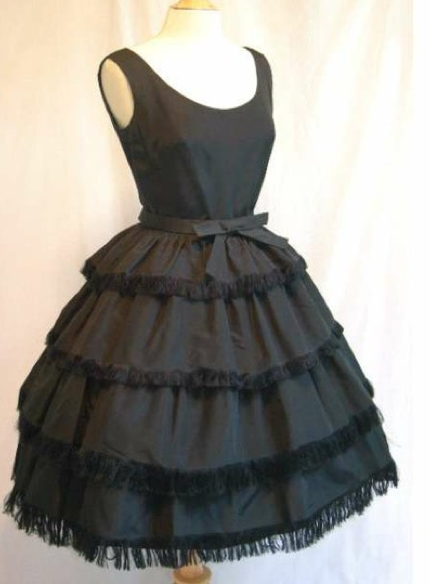 This entry was posted in Love and tagged 1950s cocktail dress, 1950s dress, Black dress, Fashion, pinterest by sewandbakeandlove. Bookmark the permalink. 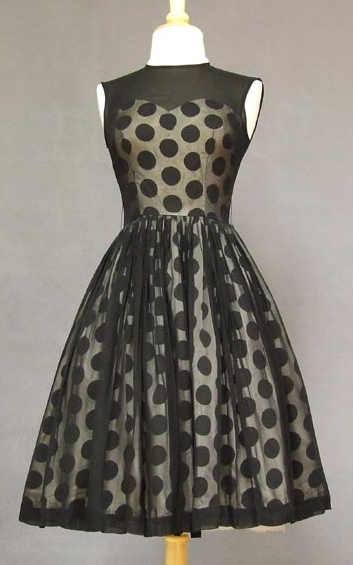 Wow the first one is one of the most beautiful polka dot dresses I have ever seen, it is truly stunning. The second is adorable and the third is very elegant. All great pieces and I agree, timeless and classic. They are all so Sandra Dee in mourning fabulous!! I love all of them. I’ve been experimenting a bit with this style and my latest refashion project is a navy and white pin dot dress. I’m trying a sweetheart neckline with cap sleeves which is a stretch for me I’m hoping it’ll all work out and I can post it today or tomorrow. The first dress is amazing but the third one is incredible and just screams Audrey Hepburn. Yes, I agree! So so elegant and stylish! !